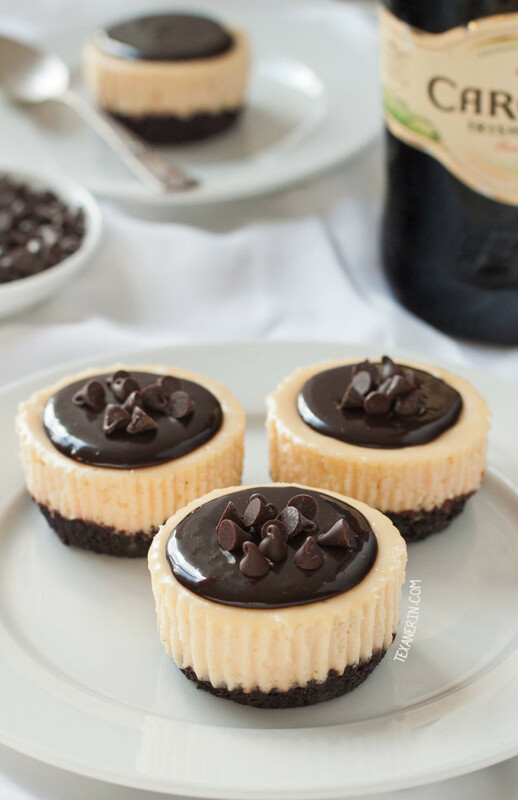 These gluten-free, grain-free and 100% whole grain mini Irish cream cheesecakes feature a simple and totally from scratch chocolate cookie crust! Can also be made with all-purpose flour. I posted these mini Irish Cream cheesecakes three years ago but after recently stumbling across the recipe and seeing that I used an Oreo cookie as the crust, I decided to revisit them. Because I was so excited after the whole wheat version came out, I decided to try a gluten-free and grain-free version with buckwheat flour (which is also 100% whole grain, by the way!) and it was just as delicious. The buckwheat crusts bubbled quite a bit while cooking and even looked a little greasy but once they cooled, they were all good. Nice and crisp and not the least bit greasy. I didn’t experiment with coconut oil for a dairy-free version because the cheesecake is full of dairy, anyway, but I’m pretty sure using the same amount wouldn’t work. You’d need to reduce it but since I haven’t tried it, I can’t say for sure how much you’d need. If you need these cheesecakes to be gluten-free, make sure your Irish cream (and obviously every ingredient you use) is gluten-free. I recommend Carolans. Here’s an article about Baileys vs. Carolans when it comes to gluten. I’m not sure about it being grain-free so I’ll just refer the grain-free folks over to this homemade grain-free Irish cream. I thought about topping these off with some whipped cream but then I remembered this Baileys fudge sauce that I saw over on Cupcakes & Kale Chips recently. It was incredibly quick and easy to make and half the recipe was just enough. It looks great and I love that it’s sweetened with brown rice syrup! Preheat the oven to 350 °F (175 °C). Line a muffin pan with 12 muffin liners. Note that this crust recipe does not work in a regular pie pan – only as mini cheesecakes. In a large mixing bowl, mix the sugar, flour, cocoa powder, and salt together. Using an electric hand mixer, beat in the butter at low speed until thoroughly combined. If you have trouble incorporating it, use your hands (it'll be very sticky). Divide the crumbs between the muffin liners (I used 16 grams of crumbs per liner). Press down lightly with the bottom of a shot glass. If using whole wheat, bake for 11-13 minutes or until the crust no longer appears wet and move on to the next step. If using buckwheat, bake for 14 minutes. The crust will likely bubble and you may have some small holes in the crust. After removing from the oven, use the shot glass again to lightly press down (which will remove the holes). Preheat the oven to 275 ºF (135 ºC) (if it's not already). With an electric hand mixer, beat the cream cheese and sugar on medium speed until well combined. Add the Irish cream, vanilla and salt and mix on low until combined. Add the eggs, one at a time, and stir just until well incorporated. Do not over mix! Fill each cup almost to the top with batter and bake for 20 minutes or until the middle is set and doesn't jiggle when the pan is tapped. Turn off the oven, open the oven door (at least 1 foot), and let the cheesecakes cool in the oven to prevent cracks from forming. Once completely cool (about 1 1/2 hours), remove from the oven. Take the liners off (I find them easier to remove before refrigeration, but you can remove them later) and refrigerate for at least 2 hours or until ready to serve. If using the Baileys fudge sauce, only make 1/2 the batch and use a little less than 1 1/2 teaspoons of fudge per cheesecake. Work quickly as the fudge firms up quickly. Top with chocolate chips, if desired. If you use coconut sugar, your cheesecake will be a little darker. 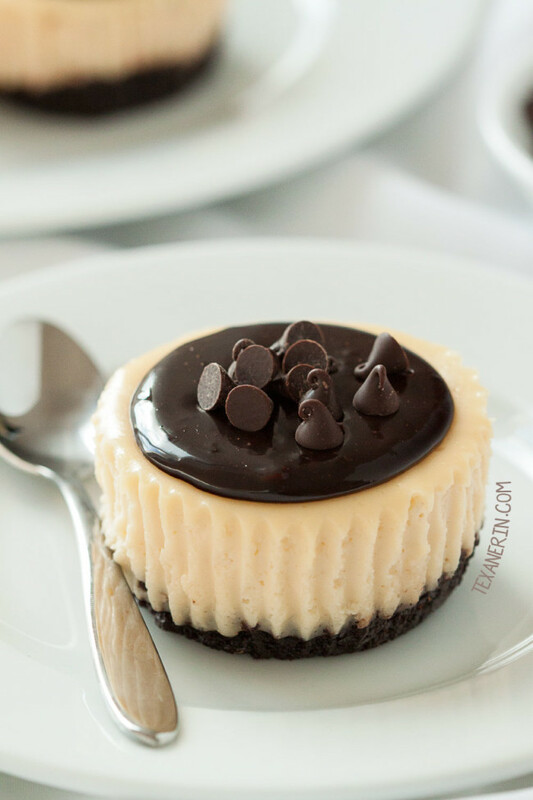 58 comments on “Mini Irish Cream Cheesecakes (grain-free, gluten-free, whole grain)” — Add one! I love the cheesecake part of this recipe. I alwsys seem to look at food when its time for bed. This looks yummy. Oh Erin! Made these cheesecakes for a girls week-end a couple of years ago and used buckwheat flour. They were yummy!! Fast forward to Easter 2017. Needing a knockout dessert and my daughter having requested cheesecake, I thought of these bites of perfect loveliness. However, here in my small KY town, buckwheat flour was nowhere to be found! I subbed Cassava flour in the crust (because I had it in my pantry) and it was sensational!! Just wanted to share. 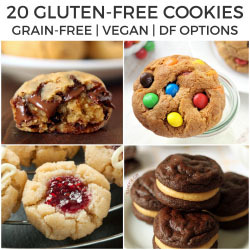 :) Thank you, thank you, thank you for your fabulous recipes that are gluten free! Hi, Shelly! That’s great to know that cassava flour worked well. :) Did you use Otto’s or another brand? I finally got a few bags and have been playing around with it! I’ll have to try this recipe with it. Thanks a ton for the tip! I’d love to try this recipe using a mini-muffin pan. Is that what you are using for this recipe? Or is it a standard size muffin pan? If so, any clue how long I should bake the cheesecakes in a mini-muffin pan? Thanks! I used a regular muffin pan. I have no idea how long they’d need to bake but I’d watch very closely! Maybe 5 minutes? Just wondering if you have ever tried these in a mason jar? I think they would be fun done like that if possible. I haven’t tried that but it does sound fun! Sorry I couldn’t be more of a help. I hope you’ll like them if you try it! These mini Irish creme cheesecakes look superb, Erin! I’ve never tried a dessert with Irish Creme, but SO want to! Oh! I just made an Irish Cream flavored cheesecake with homemade Irish Cream! I love your mini’s better!! Does your cookbook come out this month? I was thinking you said March when i was doing the recipe testing for you. Exciting I know. These look fantastic! I’ve not baked from scratch using buckwheat…but if this is the result I’ll be trying it very soon! I would have loved to be your taste-tester for your experiments with this recipe. It sounds as though you ended up with the perfect crust for that creamy cheesecake filling. These sound like the perfect dessert for St. Patty’s day! Delicious! Whyyyyy do you do this to me?! Every year for St Patricks day, I bake enough food for a small army to bring to a party. This year I decided I was only going to make soda bread, until this. Ugh, this looks like perfection. That sauce on top? Gorg. I want to get some more buckwheat flour just to make this crust…and of course, I’m thinking just a little about the luscious sauce! Decadent and lovely, Erin! You know, I have a little of the Bailey’s Fudge Sauce left. I may have to make a batch of these soon! So glad it worked for your adorable cheesecakes! Beautiful mini cheesecakes, Erin! I love the addition of the Irish cream and also the fudge sauce glaze. I need these in my life! Thanks for sharing. Pinning (of course)! Erin, these look 400% delicious! Beautiful photos, too! Oh my word yes please!!! These look lovely Erin! I love how pretty the fudge sauce sits on the top. I mean honestly they couldn’t look any prettier! I have never used Bailey’s or Irish cream in recipes. Guess I better work on a homemade and sugar free version! What do you think about using a thin mint cookie for the bottom? Nora – They are addicting. I ate them up all by myself in two days. Whoops. :( But you know what, your peanut butter cheesecake is better. If you eat just a fourth of it, you feel incredibly full, satisfied and not at all guilty. LOVE these little cheesecakes – I can just taste them now! I've made "oreo cheesecakes" from martha stewarts cupcake book before I went gluten free and they are addicting…I bet these are even more so because of the irish cream! Wow, I wish I could pick one right out of the photo and goggle it up! Katie – They are. I thought that they were kind of portion controlled, but they're not really because each one is only two or three bites and then I think, "Oh come on… I can have two!" Ugh. Anyway, happy St. Patrick's Day to you too! 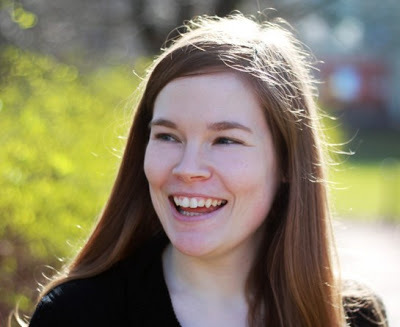 Ambika – Thanks and happy St. Patrick's Day to you as well! Love this!! Happy St.Patty's day! I'm pretty sure using coffee creamer would work because I've read reviews in the past of people saying that they used coffee creamer. So good luck with that! Let me know if you try it. And happy St. Patrick's Day to you! Katrina and Christina – Baileys is a favorite of mine too. Actually, it probably is my favorite. I can't think of anything I'd rather drink! Love that you used oreos as the crust. They turned out so cute! these look great! i love Baileys. I really really love St. Patrick's Day, as I love all holidays, but when it comes to baking, it sort of depresses me because So many recipes that are festive call for Baily's and since I'm under-age, I can't purchase it or leagally eat it. But I've been toying with the idea of maybe using Irish Coffee Creamer as a replacement, so you think that would work or no? Fabulous!! I'm so sorry your first recipes didn't work out. Good thing you were led to this recipe though. Bailey's is an absolute favorite of mine! I got blueberries, though. I guess they can be substituted for most cranberry recipes. I hope you made those Irish cream brownies because I need a good recipe for that! A good "healthier" recipe anyway. I love, love Baiyle's or Irish cream, pretty much the same :-) Now that I can make my own I better control myself. By the way I think there is a couple of recipes in my blog with dry cranberries but I think they would be great on cookies and granola, just a thought! !